Exciting New Harry Potter Jewellery Now In! You know when there’s something you’ve been waiting to shout about for aaaages and then you finally can? This is one of those moments! As self-confessed Potter addicts ourselves, we love getting to discover and bring in some of the best Harry Potter merchandise we can get our potion-covered hands on. 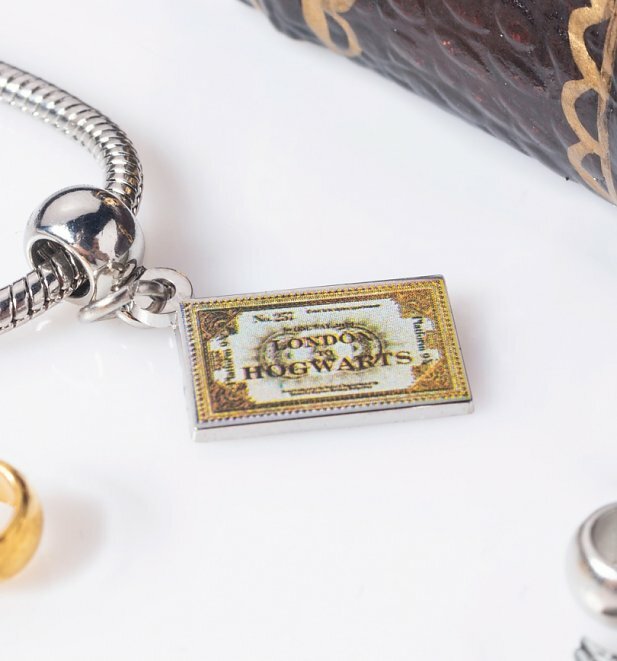 Packed with more style and Harry Potter appreciation than you can shake a wand at, we have just launched a totally stunning new Harry Potter Jewellery collection onto the site so thought we would share them with you here too. Let’s go! 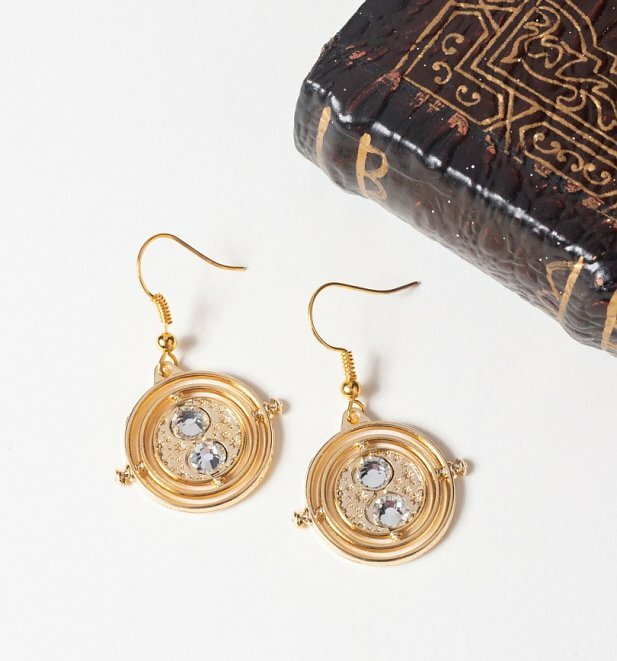 Harness Hermione’s magic with these beautiful Time-Turner drop earrings. Although they won’t take you back in time we’re afraid. 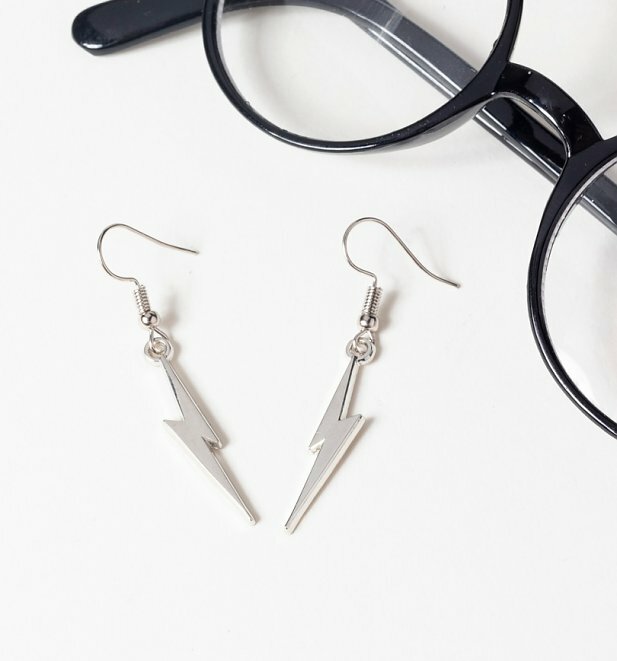 Forever synonymous with all things Harry Potter, these magical lightning bolt drop earrings are of course adorned with the mark of the famous wizard. Simple classics, right? Calling all Potter fans! We’ve conjured up a special treat for you all. 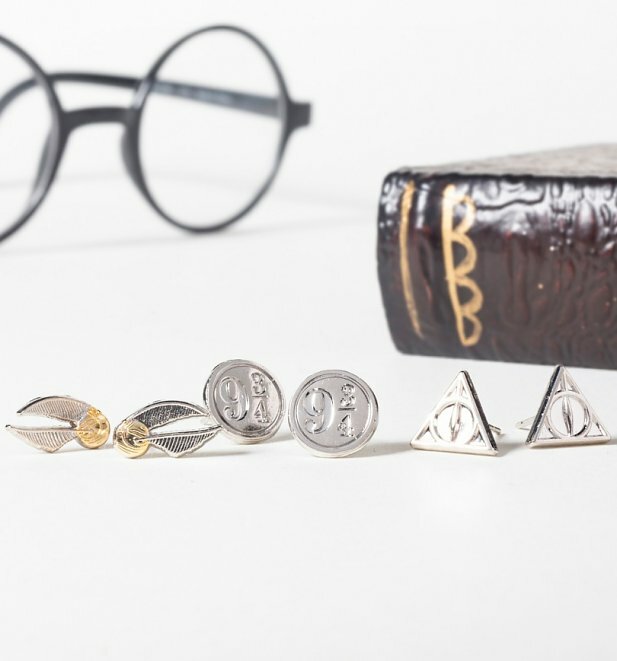 This magical set of earrings comes complete with 3 designs inspired by the later instalments so you’ve got deathly hallows, platform 9 3/4 and golden snitch studs. Sure to make you believe in the magic of accessorising, this stuning charm bracelet comes in pink and is a great starting point to beginning your Harry Potter charm addiction. The ticket we all hoped to one day have, show your love for the iconic Hogwarts Express with this simple charm. Sooo this awesome time turner charm might not actually turn back time, but it will sure be turning heads! 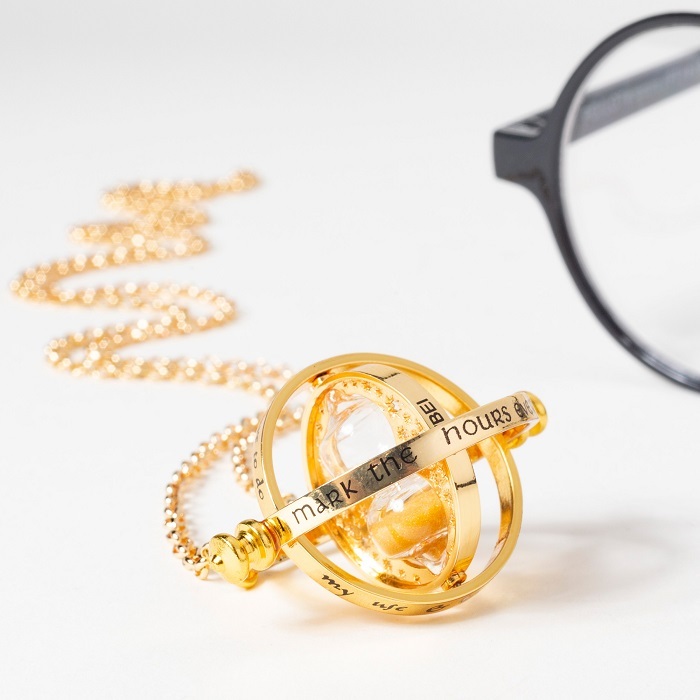 Prepare to be bewitched by this awesome Time-Turner necklace. The perfect gift for any Potter fan. 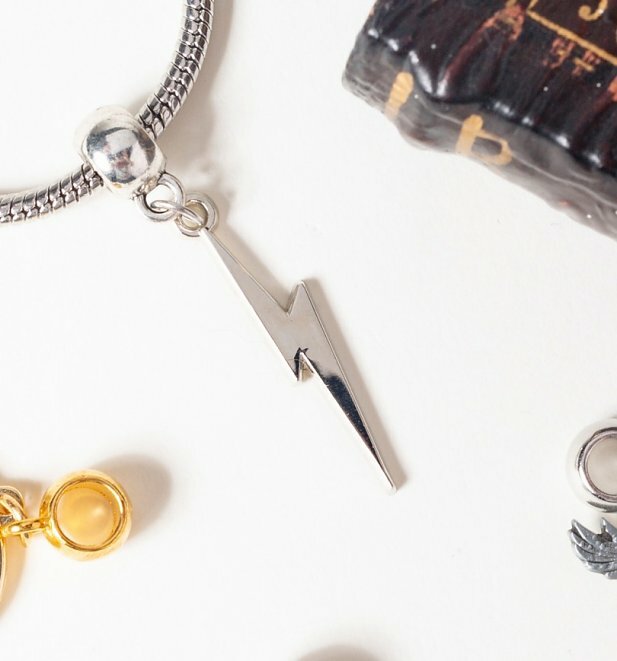 Inspired of course by Harry’s signature lightning bolt scar, this gorgeous piece is sure to please any Potterhead. Time travelling wannabe wizards rejoice! This glorious gold pin badge is adorned with two shining jewels that represent the hourglass from Hermione Granger’s iconic Time Turner. Woah, hold up there! Looking for something EXTRA special? We mean… really special! We have added some simply stunning new Harry Potter jewellery featuring Swarovski crystals! 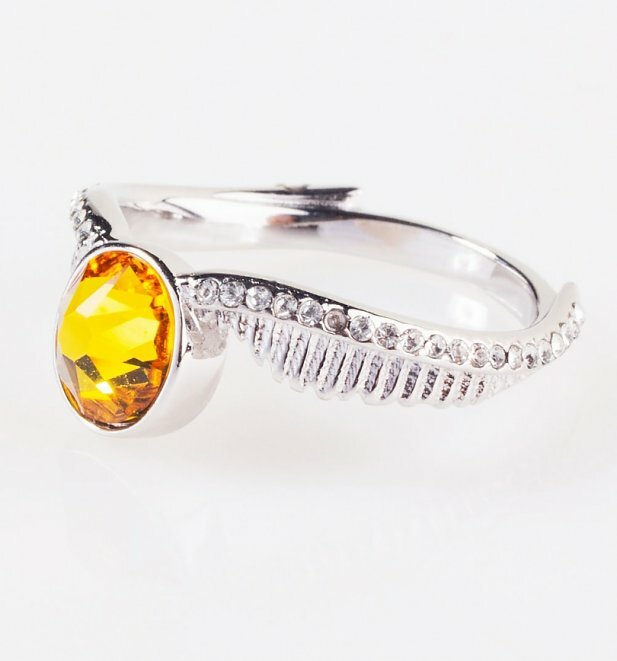 Embellished with inimitable Swarovski crystals, this sterling silver Harry Potter Golden Snitch ring is a true gem! Sure to catch the eyes of fellow Potter fans, we’re coveting this almost as much as the Golden Snitch itself. 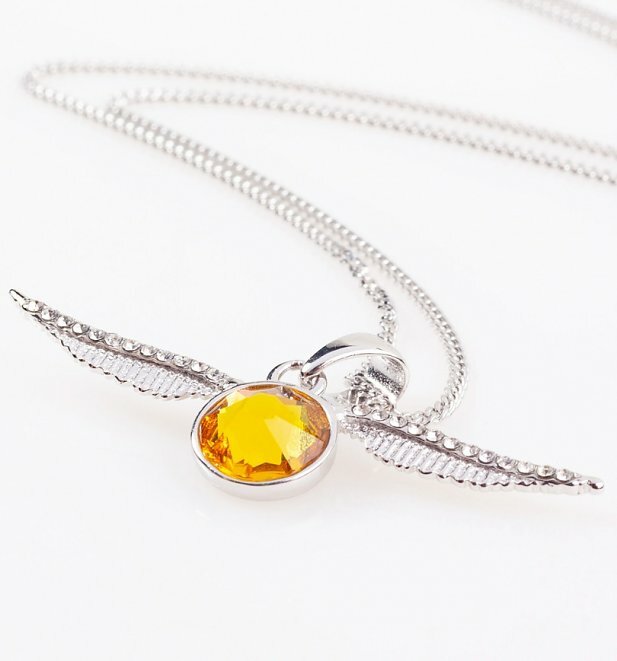 We’re completely head over heels for this gorgeous Golden Snitch necklace! Adorned with shimmering Swarovski crystals and crafted in sterling silver, it’s sure to catch the eyes of fellow Harry Potter fans. A classic, premium piece. “They’re not birds, they’re keys! 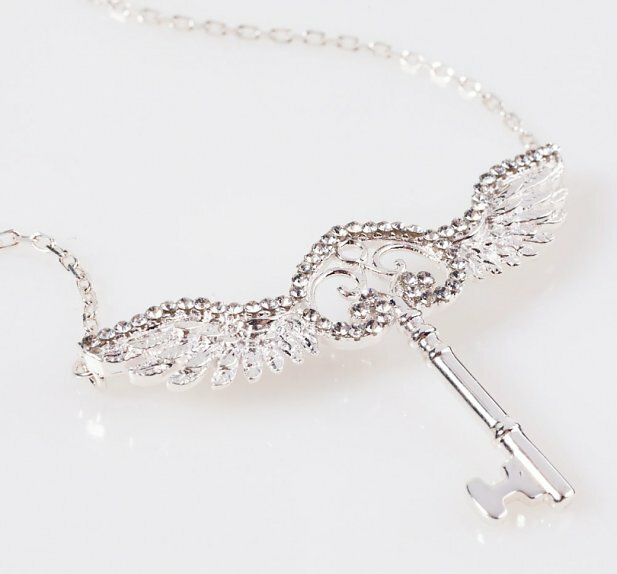 Winged keys.” This stunning Harry Potter necklace, encrusted with Swarovski crystals, is almost as enchanting as the famous keys themselves. 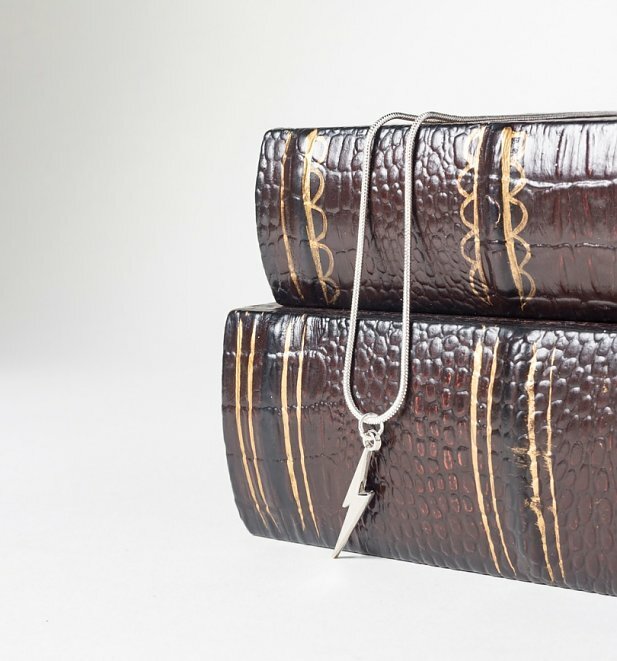 Finished in sterling silver, it’s a timeless, premium piece for true Potterheads to cherish. 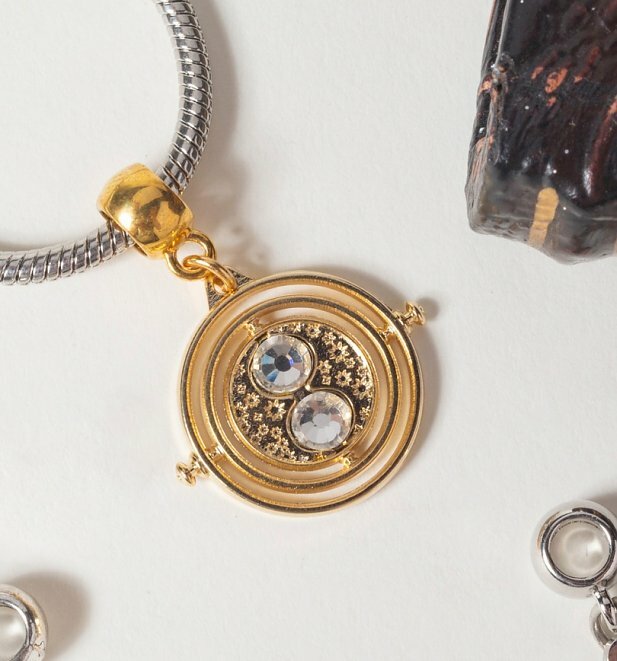 Time-Turners may have made time travel possible, but this beautifully intricate necklace makes a truly timeless Harry Potter piece. 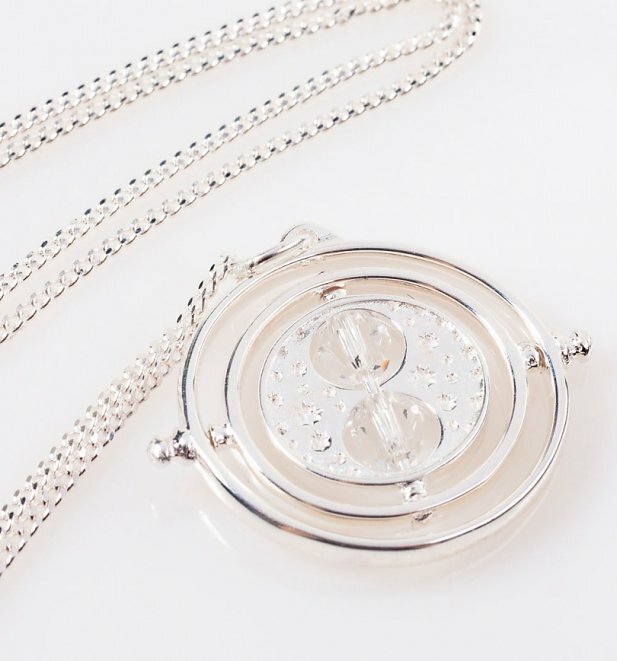 Embellished with classic Swarovski crystals and finished in sterling silver, we can’t guarantee it’ll turn time but it will definitely turn (Potter) heads. 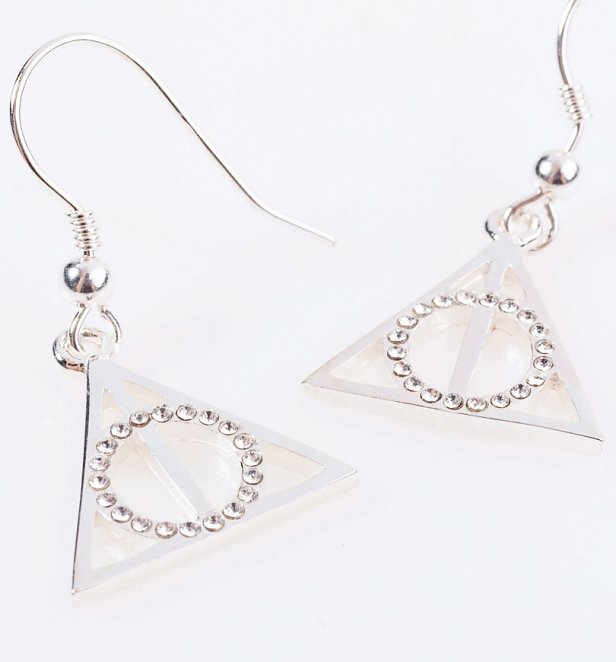 Add a magical touch to your jewellery collection with these Deathly Hallows drop earrings. Finished in sterling silver and embellished with beautiful Swarovski crystals, they’re an understated way to show your Potter appreciation. So there you have them folks! For all these and more, check out our full range of Harry Potter Gifts and Accessories on the site. See you there! Previous PostPrevious The Weekly Retro Movie Rundown – 297! Next PostNext The Weekly Retro Movie Rundown – 298! Movies	The Weekly Retro Movie Rundown – 298! Movies	The Weekly Retro Movie Rundown – 297!